After a long day of school and learning, kids are hungry when they get home. Give them something yummy to fill up those hungry tummies, with this collection of our favorite after school snacks that kids love, and parents can feel good about serving. Whether your kids head straight to the TV or computer after school, or need a quick snack before lessons and extra-curricular activities, these awesome, popular after school snack recipes are great for keeping children satisfied until dinner time. Easy cheesy chicken quesadillas are great for satisfying hungry kids after school and take just 15 minutes to make. Older kids can even learn to make it themselves! It's an essential after school snack recipe that is so easy to customize, with ideas for variations included in the recipe. Fruity popcorn is a fun and delicious popcorn treat featuring salty nuts and popcorn covered in a light, crunchy candy coating that is bursting with fruit flavor. The fruit flavor comes from Jell-O, so you have a wide variety of flavors to choose from when making this easy treat. Kids will shout for fruity popcorn as an after school snack, at sleepovers, and on family television nights! Kids will love coming home to the warm, comforting aroma of these sweet banana muffins cooking in the kitchen. They're awesome enjoyed plain, or you can add in some raisins or a handful of mini chocolate chips for an indulgent treat. Wonderful as an after school treat and at breakfast too! Homemade hummus dip is a protein-rich dip which makes a great alternative to peanut butter. Spread onto sliced bread and pita bread triangles, or use for dipping vegetables and crackers. This recipe makes enough hummus for a filling and nutritious after school snack, plus some to spare. 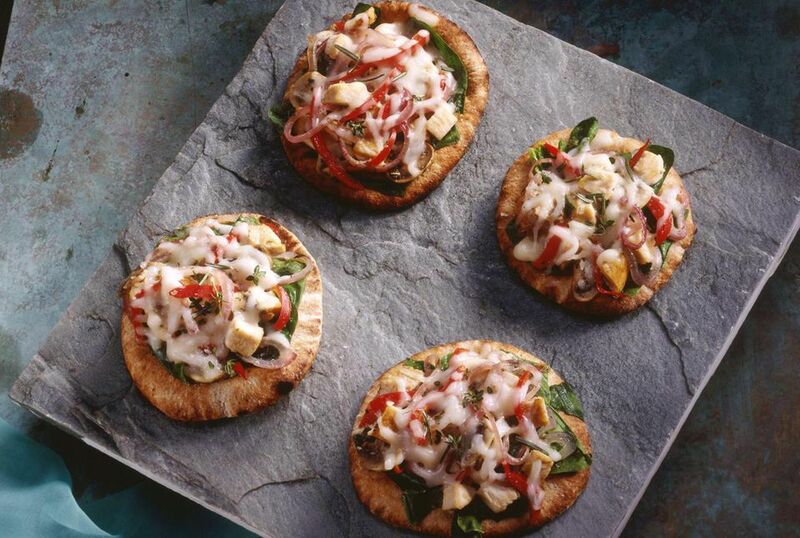 Kids love pita bread pizzas! Just set up pita loaves, sauce, and your toppings buffet-style, and allow your kids' imagination to take over. All you have to do is bake the end product and you will have a fun and creative after school snack. This recipe is also perfect when your kids have friends over, for sleepovers, Friday night movies, or just whenever your kids need a quick pick-me-up in under 20 minutes. Welcome kids home from school with a plate of delicious chocolate chip cookies and a big glass of milk. Because these cookies that are packed with yummy white chocolate, milk chocolate, and semi-sweet chocolate chips bake at a lower temperature than ordinary chocolate chip cookies, they have a beautifully even texture and crispness that kids will love. Yes, this really is the perfect grilled cheese sandwich recipe. Serve it to hungry kids, along with some baby carrots or grape tomatoes and a dab of ketchup on the side for an easy, cheesy, classic after school snack your kids will ask for again and again. Kids will go bananas over this delicious chocolate banana smoothie recipe that tastes just like a milkshake, but actually is far more nutritious. With plenty of protein, fiber, and calcium, it makes a terrific, sneaky healthy snack that parents can feel good about giving their kids. Store-bought vegetable chips are delicious and make a popular after school snack, but they're often heavy in sodium. Why not make your own homemade sweet potato chips for kids to enjoy after school, with this simple recipe? Making them is easier than you think, and sweet potatoes are an excellent source of healthy B vitamins. When kids come home hungry, and it's hours until dinner, satisfy their cravings with this healthy and delicious vegetarian Greek tortilla wrap. It's a great hand-held snack that they can eat on-the-go, too, whether they're traveling to lessons or heading outside to ride bikes. Feta cheese and lightly marinated veggies are wrapped up in a healthy whole wheat flour tortilla, for an easy snack. Muffins make a great hand-held snack when your kids are rushing to lessons after school. These yummy gluten-free apple oat muffins are a great way to celebrate the sweetness of fall apples, and make a terrific afternoon snack or a special treat at breakfast. They're also suitable for gluten-free diets. Kids adore cheesy nachos, and these quick, five-minute quick microwave nachos make the perfect after-school snack. They are fast and easy to prepare, and you can adjust this recipe in plenty of different ways to suit your kids' tastes, with the ideas included here. These chewy, scrumptious ranger cookies are loaded with oats, coconut, crunchy corn flakes, and the goodness of oats. Perfectly simple, delicious, and full of great flavor and texture, they are a favorite for after-school snacking. Buffalo chicken tortilla roll-ups are a great choice when you're thinking about after school snacks. These cute little roll-ups are full of delicious roasted chicken, spicy wing sauce, and tangy blue cheese, and take only 10 minutes to put together, making them a favorite for busy moms and dads, too. There's no cooking involved, and they taste great cold, making them a great all-season snack for kids. Adorable little crescent roll pigs in a blanket make a delicious after school treat idea for kids. You can also repurpose this easy, kid-friendly recipe as a party appetizer when you're having families over on the weekend. Kids can't get enough of them! Gluten-free rice crispy squares are fast, easy, chewy, gooey, and delicious—a gluten-free kid's favorite. Make a batch to serve kids after school, for sleepovers, and when you're ferrying kids to and from after school activities. Everyone loves banana bread, and kids will demand that you make this fabulous banana bread recipe over and over. Welcome them home from school with warmed up slices of delicious, lightly spiced banana bread. You can add a pat of melting butter or enjoy their simple goodness without it. Easy, tasty tuna melts make a nutritious and filling snack idea for after school. 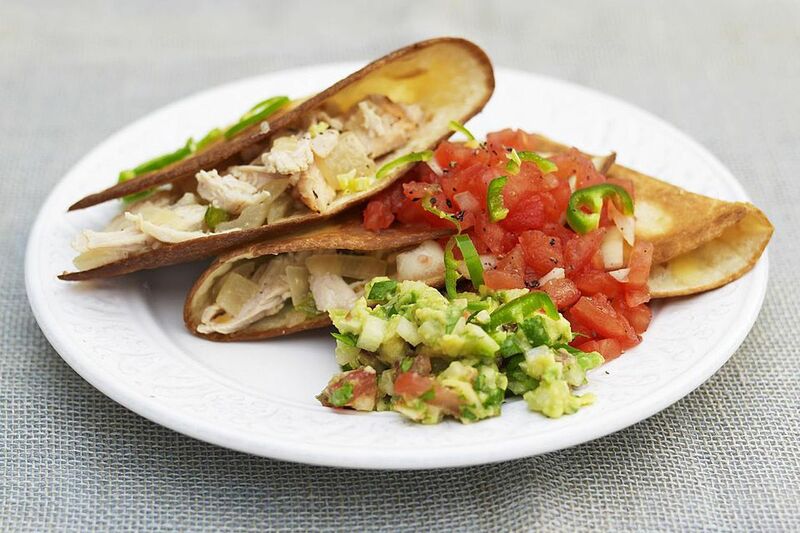 Kids love these open-face sandwiches that are filled with tangy tuna salad, mounded on sliced English muffins, and topped with sliced tomatoes and cheese. A quick trip under the broiler to melt the cheese and they're ready to eat at the kitchen table or in front of the TV. This recipe can also make an easy weeknight meal for busy families if you double up on the ingredients. What kid doesn't like pizza flavorings? These cute little pizza rolls are easily prepared with crescent roll dough, pepperoni, and cheese, along with a few other chopped additions. With tips for variations included, this recipe makes a super tasty TV snack that kids will love. Ham salad wraps are a delicious make-ahead cold sandwich treat that are perfect for after school snack time. Cream cheese, mustard, corn, and deviled ham spread are wrapped in corn tortillas. You could also use canned salmon, chicken, or tuna in place of the deviled ham. Let kids grab these wraps and go, or cut them into slices to create fun pinwheel sandwiches.